For many of us greeted daily by a cacophony of engines and bulldozers, it is easy to forget that Cambodia is still teeming with wildlife despite the concrete chaos around us. With its dearth of parks and accessible green spaces, the capital’s nickname of ‘the Penh’ seems apt. This inaccessibility of nature could have its consequences, says author and journalist Richard Louv. In his 2005 book The Last Child in The Woods, he cites research that has found that lack of time spent in natural areas may contribute to a range of problems, from attention disorders to a dampening of creativity, a condition called Nature Deficit Disorder (NDD). Fearing the onset of such a condition, I wanted to see what remained of the natural world in the country’s capital. While Phnom Penh doesn’t offer the escape to be found outside the city limits, there is indeed wildlife to be explored if you know where to look. The days of ceremonial elephants lumbering the streets are long gone, but today developers aren’t the only ones seeking better opportunities in the capital; some species are more at home here than in rural areas. But besides urbanized hens, Independence Park’s enterprising rats and the ubiquitous house geckos, what other wildlife can be seen in the capital? I called on Senglim Suy, the founder of Birds of Cambodia Education and Conservation (BCEC) to find out. He founded BCEC because he began to notice the prevalence of birdlife diminishing. “When I was young, the variety of wildlife near my home town, between the Mekong and the Tonle Sap river in Kampong Cham, was amazing. When I visited in the 2000s a lot of this wildlife had disappeared,” he says. Still, Suy says that the city’s residents can find nature in their midst. While Phnom Tamao Wildlife Rescue Center 40 kilometers southwest of Phnom Penh is perhaps the obvious choice to see rare animals, according to Suy you can see many birds, including several species of woodpecker and the formidable stork-like Lesser Adjutant in areas surrounding the Center without ever setting foot inside. Likewise, you can take in timeless scenes of buffalo bathing in the Mekong, as well as rare sightings of Cambodian horses, from Silk Island’s sandy beach, dubbed ‘Phnom Penh’s Club Med.’ But you don’t need to cross the Tonle Sap river to glimpse the city’s wealth of wildlife. Cambodia supports a staggering 553 bird species, of which two are endemic, or found only in the Kingdom. One of these, the Cambodian Tailorbird, was recently discovered on a construction site in Phnom Penh, much to the astonishment of Wildlife Conservation Society’s Senior Technical Advisor, Simon Mahood, one of the researchers who discovered and described the species in 2013. 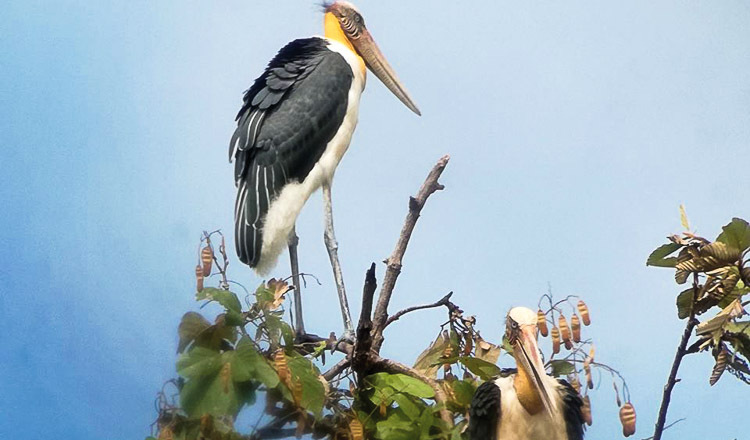 The bird can be spotted at the Killing Fields, 8 kilometers south of the city centre and at other sites within the city limits. Less extraordinary but equally captivating are the resident and visiting birds at Wat Phnom. According to Mahood, the landmark, with its leafy trees, is a “good place to see birds in spring and autumn [when] anything can turn up.” Amongst these are the beautiful Yellow-rumped Flycatcher and, surprisingly, the Red-whiskered Bulbul, which usually lives in cool climates at high elevations. 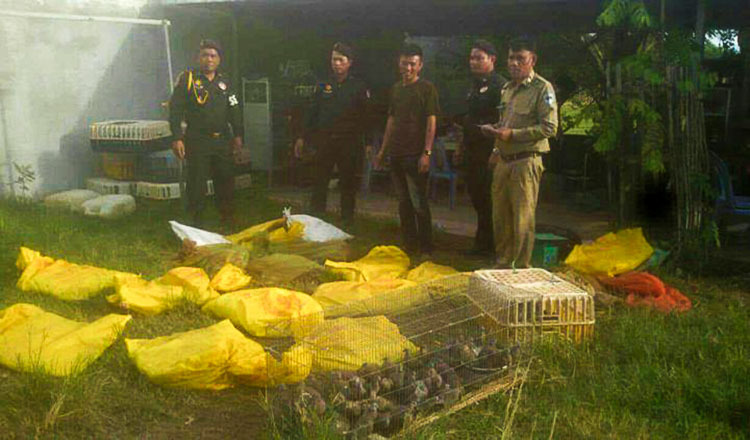 Suy suspects that someone previously kept the species in captivity, later releasing it in the city. 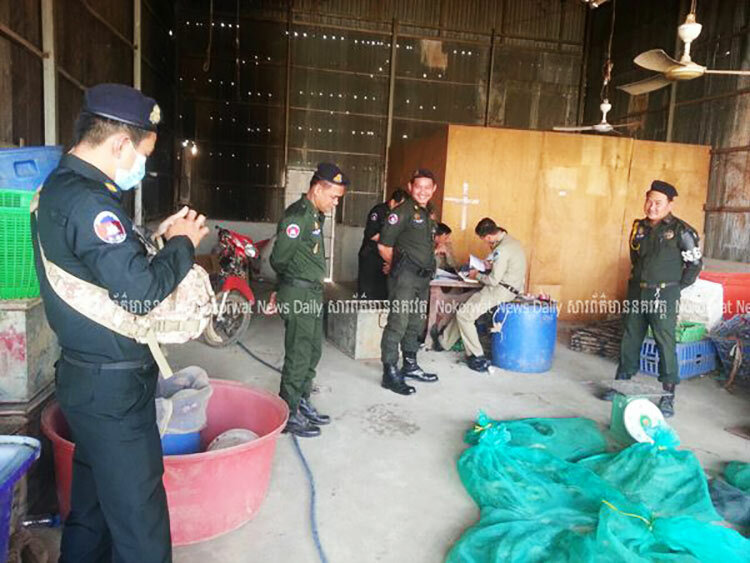 Similarly, diminutive birds are displayed in cages and released upon payment by well-meaning visitors. But unprepared for life in the wild, they have little choice but to return to their cages. Spectacular specimens, like the Blossom-headed parakeet, can also be spotted here; if the magnificent green-yellow feathers and pink heads of the males don’t get your attention, their gregarious and raucous calls will. The ravishing Little Green Bee-eater may also make an appearance to devour its favourite insects. 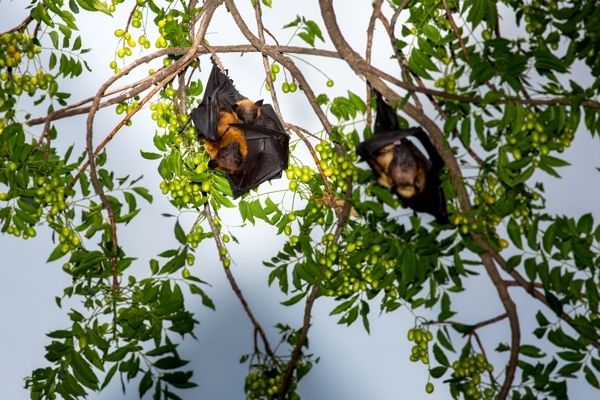 The larger fruit bats or megabat species, which are better known for their risk of transmitting disease than for their positive attributes, are in fact key pollinators, Furey says. While foraging for food, fruit bats help propagate “many economically significant crops in Southeast Asia, including durian,” he says. Other tropical plant species are entirely dependent on bats for the distribution of their seeds, and it’s little wonder that recently published research from the Royal University of Phnom Penh suggests that bat guano is more effective than chemical fertilizer for eggplant, jackfruit and longan plants. Across town, another wildlife viewing opportunity presents itself on a nightly basis in one of the city’s least picturesque areas. Insect-eating bats in the hundreds can be seen emerging from roosts beneath bridges along the ‘stinky river’ at dusk. The sky bristles with activity at this time, with swifts returning and bats setting forth. These expert hunters can be seen in action nightly around bodies of water in the city where they pursue the multitudes of insects which come to life at night. Good spots to see them include the ponds at the Royal University of Phnom Penh (RUPP) and above the Himawari Hotel swimming pool throughout the dry season, according to photographer Jim Heston. They perform magnificent hunting feats, first using echolocation to hone in on prey at the water’s surface, then swooping down to clutch them with their hind legs, and finally jack-knifing to enjoy the fruits of their labours, all while swimmers do their laps. So next time you take aim at a mosquito, spare a thought for often-maligned bats, the primary consumers of nocturnal insects, with some species eating 100 percent of their body weight in insects each day. According to 2011 research, this incredible organic pest control service has a global value somewhere between $54 billion and $1 trillion. Geckos also deserve a mention for their voracious appetite. The blue and orange giant gecko’s nocturnal ‘Toh-kay’ calls are omnipresent throughout the city. According to local superstition, the number of the gecko’s calls is a predictor of good or bad luck, with odd numbers above five thought to be particularly auspicious. Last on the journey through the city’s wildlife are its most notorious creatures, the long-tailed macaques. Regularly spied frolicking around the temples at Angkor, macaques also have a presence around Wat Phnom, although not in the same numbers as before 2011, when their aggressive behavior towards visitors prompted their forced relocation to local wildlife centers. 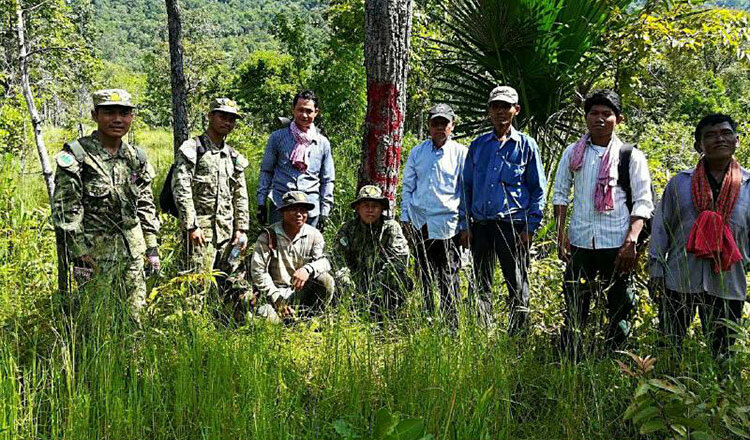 One security guard reportedly implored authorities to remove only the larger perpetrators and retain the small ones, as they were a favorite for tourists. This clash between macaques and tourists is not the only struggle between the man-made and natural world. Not surprisingly, the rapid development taking place is “likely to lead to declines in some species,” Mahood says. Whether such suggestions will be taken to heart remains to be seen. In the meantime, enthusiasts like Suy are dedicating themselves to work which they hope will “change minds”. “By documenting wildlife, especially birds… people living in cities and rural areas can begin to appreciate our wealth in natural heritage,” he says.